Digital Series. Episode 1: New York City. A Chinese woman was brutally murdered and Jeremiah Cotton, a young cop with the NYPD, just can't let go. He suspects that the woman is the victim of a serial killer, but no one believes him and he is taken off the case. While carrying out an unauthorized investigation, Cotton encounters a division of the FBI whose existence no one knows about: the "G-Team." Stubborn and persistent, Cotton asks uncomfortable questions about the mysterious unit - and runs afoul of Special Agent Philippa "Phil" Decker in the process. When he narrowly escapes an attempt on his life, Cotton realizes that this is no ordinary killer hunt and the hotter the case is getting, the more determined he is to stay involved ... A new legend is born! 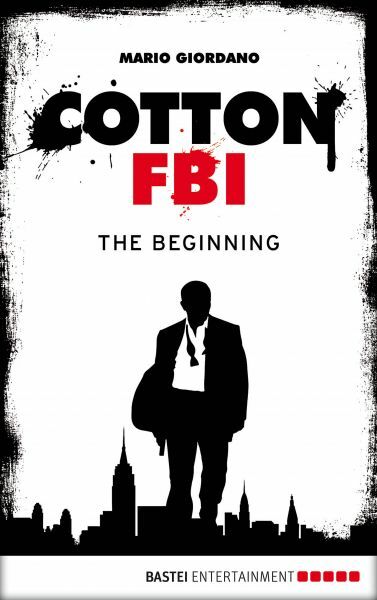 COTTON FBI is a remake of a world famous cult series with more than one billion copies sold and appears bi-weekly with a self-contained story in each e-book episode.